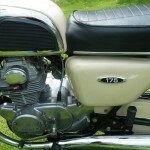 Restored 1974 Honda CD175 Motorcycle. 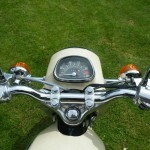 This lovely little Honda has been restored to a very high standard. 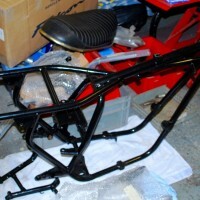 The frame and swinging arm were black gloss powder coated. 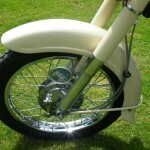 New chrome wheel rims were fitted with zinc spokes and new tyres. The wheel hubs were polished. All of the tinware was professionally painted. 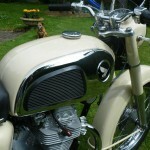 The original petrol tank side panels, handlebars and the rear brake lever were all re-chromed. 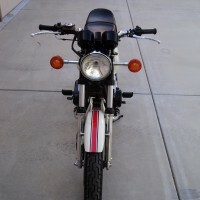 New indicators and a new tail light were used. Original looking grey cables were sourced. 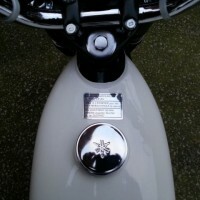 New side panel emblems were used. 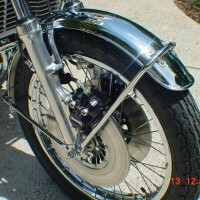 The engine casings were polished. Both of the mudguards were repaired then primed and painted. 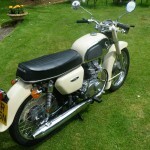 A really great restored Honda CD175 Motorcycle. 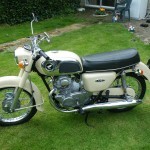 Honda CD175 – 1974 For Sale or Wanted? 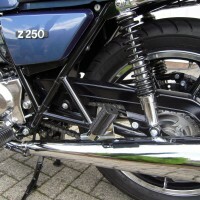 If you're looking for the perfect Honda CD175 – 1974 for sale then take a look at the hundreds of restored classic motorcycles listed on our extensive Motorcycles For Sale pages. 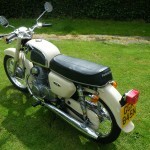 We regularly feature very nice restored Honda CD175 – 1974 bikes for sale. 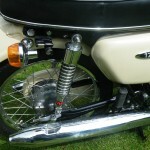 Spares and Parts for your Honda CD175 – 1974? 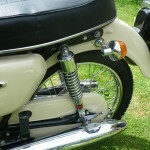 Workshop Manual for your Honda CD175 – 1974?